One of the most pressing issues in making copper-brass radiators is the green discoloration that occurs after soldering as a result of insufficient cleaning after soldering. The answer is one word: Chlorides. 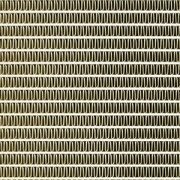 A lot of copper-brass radiator manufacturers use strong, chloride-based fluxes for copper-brass radiator soldering for a simple reason; they work very well and are cost effective. But, perhaps they work too well, as the post-assembly greening indicates. Whatever money these chloride-based fluxes save upfront, their savings are quickly erased by green-stained radiators that can’t be sent out to customers! Enter Superior Flux’s line of fluxes. They are more than sufficiently active to solder copper-brass radiator, but don’t cause radiators to turn green post-solder. The best part is that the radiators don’t have to be cleaned after soldering, and still, there is no post-solder greening effect! These fluxes can be diluted to a variety of ratios, making them a economical choice as well. Superior Flux’s complete line of copper-brass radiator fluxes covers all different facets of copper-brass radiator assembly. For tube manufacturing, whether it is just brass tinning, lock seam tube manufacturing, or welded brass tube manufacturing the zinc-free Superior No. 530 gives excellent solder coverage and capillary draw (This is particularly important in the case of lock seam tube manufacturing). For radiator batch style bake ovens, Superior No. 590 gives excellent bonding and works well in long heating oven conditions. If the desire is to also eliminate the presence of zinc and if the radiators are made in a continuous style zone oven (relatively short period of heating, usually less than 7 minutes) the zinc-free Superior No. 520B is the best alternative. For radiator assembly (tube-to-header and tank-to-core connections) the choice should be Superior No. 590, which gives excellent bonding and is capable of withstanding torch heating. If for such applications, the flux must also be zinc-free, then the Superior No. 520B would be the best choice. If the end user customer requires that all halides (chlorides/fluorides/bromides) be absent from the finished copper-brass radiator, then washing the radiator post-solder may be necessary, even if the radiator does not turn green. The Superior No. 5700SFM cleaner can remove flux residues from a completed radiator and allow the radiator to pass even the most stringent internal halide specifications. Don’t fall for the idea that you need chlorides in your fluxes when making copper-brass radiators, not unless you want to risk green staining on your finished product. Use Superior Flux’s full line of copper-brass radiator fluxes. You’ll see the difference: Cost effective, no post-solder washing necessary and no greening! Joining carbide and steel with strength and confidence Superior Flux & Metal Connect – New Friends!